Sherwin joined the blog in the Fall of 2009 after a brief stint writing independently as a community blogger with the Seattle P-I. He graduated with honors from the University of Washington in 2012 and is currently consulting in various transit, housing, and civic projects. Commute: 212, 215, 216, 218, 246, 554, and the 550 on occasion. As we mentioned in our news roundup last week, Microsoft is generously agreeing to pitch in on a new ped-bike bridge that would span SR-520 and connect to the new East Link station at Overlake. The contribution kills two birds with one stone: it greatly increases access to the station while also improving connectivity across Microsoft’s massive campus, which is cleaved in two by 520. Furthermore, it’s an encouraging sign that rail transit’s many regional beneficiaries, both public and private, are showing willingness to invest in improved station access. From a transportation perspective, the news is very welcome for non-motorized and transit advocates alike. If all goes well, the new bridge would be the third built in the area in a matter of years. In 2010, the City of Redmond opened the NE 36th Street bridge, which connects the south side of Microsoft’s campus with the future Overlake Village redevelopment. 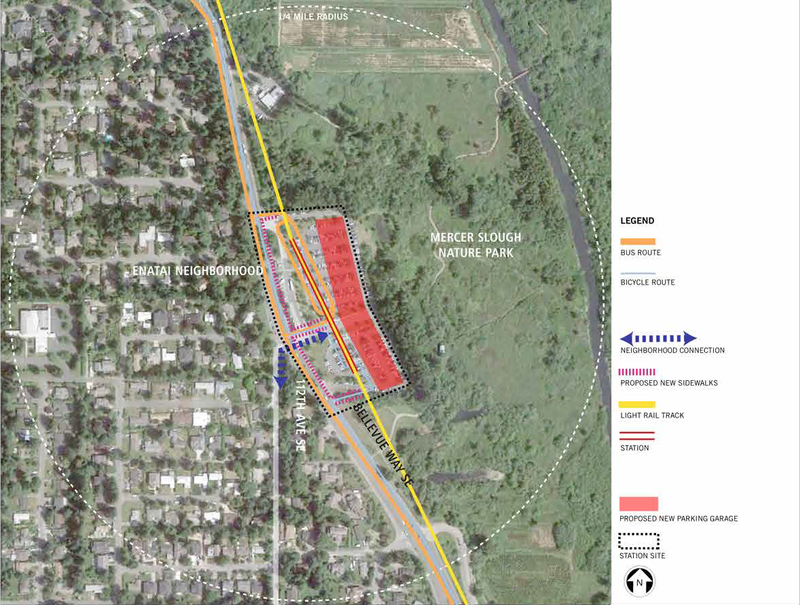 The City also hopes to fund another ped-bike bridge nearby, currently planned to connect the station at Overlake Village with the 520 trail at Microsoft. From a funding perspective, Microsoft’s example builds off of a good precedent. As Bike Blog notes, Amazon has already taken the lead on funding streetcar service and bike facilities in South Lake Union. Both Microsoft and Amazon campuses are somewhat centralized, so it’s logical for both corporations to be proactive about employee commute solutions. This, of course, beats the historical alternative, where transit agencies have had to rely on equally cash-strapped cities to fund station access improvements. Private actors, on the other hand, usually have the capital to make these kinds of investments. Regionally, there’s no reason to believe that the Microsoft/Amazon model isn’t just as applicable elsewhere. North Seattle Community College and Northgate Mall, for example, both have high stakes in a pedestrian bridge crossing I-5. In Eastgate/Factoria, T-Mobile would benefit greatly from access improvements to the park-and-ride and freeway station. The downside to public-private funding partnerships is that they’re contingent on voluntary contributions. Unlike general property taxes or LIDs (local improvement districts), government agencies don’t have the authority to mandate them. Employers might be better motivated by incentives, like tax credits and the like. Under the State’s CTR law, for example, employers who offer reasonable non-SOV commuting provisions are eligible for state tax credits. The problem with the CTR law is that private financing of public capital projects don’t meet the definitions for “commute trip reduction,” disallowing Microsoft from claiming tax credits for its contributions to Overlake station access. One could easily argue otherwise– after all, free transit passes are only as good as the facilities and service that they’re used for. If the State wants to get serious about transportation sustainability, reforming the CTR law and providing meaningful transit funding would be logical steps to take. Moscow unveils an interesting new form of fare payment ahead of the 2014 Winter Olympics. With petty alignment squabbles behind us, most East Link work is now well into the stages of final design and station area planning. Recently, the City of Bellevue has been doing outreach to various communities in South Bellevue to gauge input on station area improvements. Most of the design and planning work still belongs to Sound Transit, though neighborhood improvements in the surrounding locale rest squarely with the City. I’m not really eager to rehash the strenuous East Link saga that dominated Bellevue for more than four years, but I think some background will be helpful. Back in 2009, both Sound Transit and the Bellevue City Council came to consensus on a preferred alternative for South Bellevue, which would have routed East Link up Bellevue Way to serve the existing South Bellevue P&R. After the 2009 election, the Council’s makeup changed and they flipped, setting off a long battle with Sound Transit over routing. This past Tuesday, Senate Transportation leaders held a public hearing at Stevenson Elementary in Bellevue. One of many planned across the state, the forum was meant to gauge citizen input on state funding for transportation. By all the accounts I’ve heard, it sounds like transit supporters dominated the crowd and podium, speaking primarily for preserving Metro service. If you were in attendance, let us know how the meeting went in the comments. You can also relive the hearing in real-time on Twitter, where the #moveKCnow hashtag is being used to document what will likely be a massive lobbying effort to prevent Metro cuts. Legal wonks out there will appreciate this gem: Andrew Villeneuve at the Northwest Progressive Institute has a blistering takedown of Supreme Court Justice Jim Johnson’s dissent (PDF) in the Freeman case. 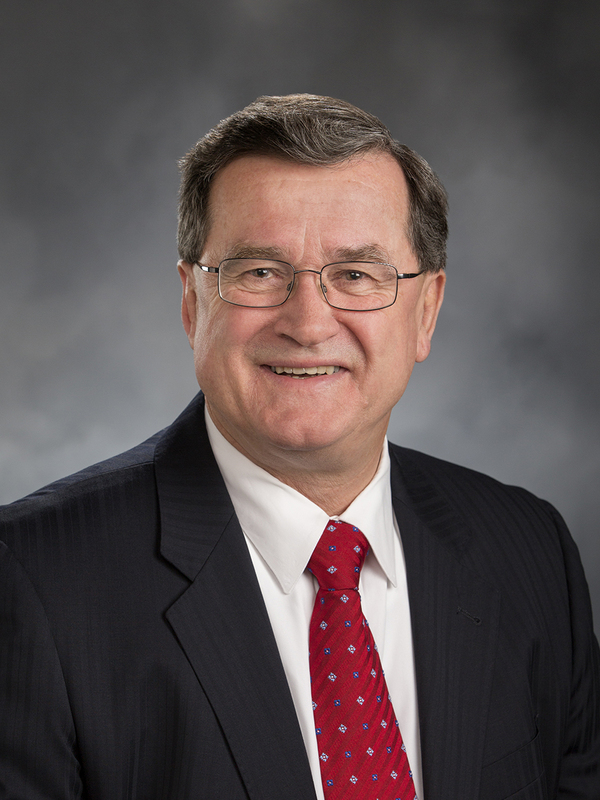 Johnson, one of only two to vote against Sound Transit and WSDOT, largely framed his opinion around constitutional protections for drivers and cited the 18th Amendment extensively. 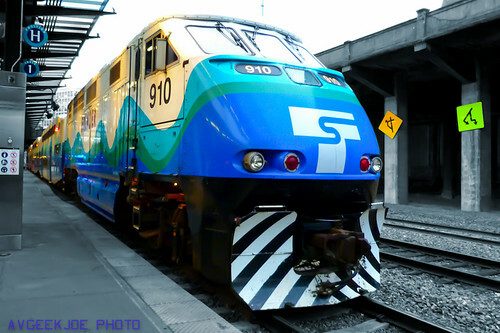 What the Johnsons do not acknowledge in their dissent – and what anti-rail conservatives either don’t get or won’t admit – is that the urban King County portion of Interstate 90 is not simply a highway. It is a multimodal corridor that contains a highway. And this distinction matters. 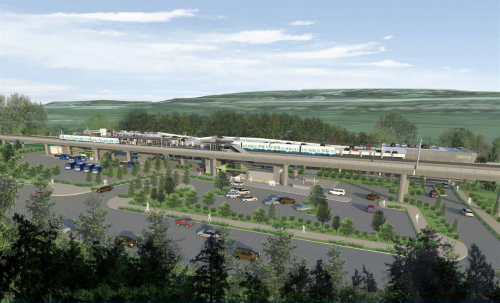 Sound Transit is currently gunning through final design for East Link. Next week, there will be two open houses: one unveiling a 60% design update for the Bel-Red segment, and the other kicking off final design for the Seattle segment (International District eastward). The last segment for which there hasn’t been any final design community outreach is Overlake, but my guess is that that will probably happen sometime soon. Though the vast majority of our East Link coverage is about the Eastside, the Seattle segment certainly deserves its share of attention as well. For one, the city gets another new grade-separated rail station on top of what is already promised from Northgate Link. And although the land use opportunity for Rainier Station isn’t significant, there’s some hope that station construction can be used to leverage connectivity improvements in the area*. Since the poor existing connectivity is largely attributable to the the topography and I-90 ROW, there’s obviously no silver bullet. Still, ped/bike improvements will be most welcome, particularly to the I-90 trail and connections to Rainier. I’m also optimistic that this is a chance for the City to get rolling on Bicycle Master Plan projects (.pdf), which would presumably help channel riders within the Rainier corridor’s development-prone areas to and from the station. Of course, all of this is guesswork, so you’ll have to find out more specifics from 6 to 8pm next Thursday at the Northwest African American Museum. The 60% open house for the Bel-Red segment, on the other hand, will be held on Tuesday from 5 to 7pm at Highland Community Center in Bellevue. *Councilmember Conlin has been keeping close tabs on Rainier Station area planning as well. The Seattle Times has a new map out ($) that shows the results of the mayor’s race by precinct. Although both McGinn and Murray have publicly expressed pro-transit and pro-density positions to some degree or another, it’s pretty clear that the denser precincts favored McGinn in the primary. The results are actually somewhat similar to those of the 2009 McGinn vs. Mallahan race, which suggest that McGinn has a fairly loyal voter base. Steinbrueck won only a handful of precincts: the most notable being central South Lake Union, home to many SLU upzone opponents and Mirabella, one of Steinbrueck’s clients. Harrell fared best in Leschi, Rainier Beach, and portions of south Beacon Hill and Mount Baker, which suggest that he did well among minority voters. Interestingly enough, most of the rest of Beacon Hill and Rainier Valley favored McGinn. Murray dominated West Seattle west of Fauntleroy with the exception of a few precincts in Admiral. It’s not clear if McGinn’s denial recommendation to deny Whole Foods’ alley vacation request had any impact on voters leading up to the primary. The map is below the jump. Whenever we talk about removing bus network inefficiencies, deviations are almost always a big part of the discussion. It’s a mathematic no-brainer that routes operating in a straight-line are safer, faster, and more reliable than their zig-zaggy counterparts. However, decades of bad land use planning and car culture have resulted in lots of destinations that are simply out of the way. Park-and-rides, like Eastgate and Federal Way, are some of the more egregious offenders that have likely cost Metro millions in operating costs over the years. Most agencies have some sort of a deviation standard that weighs riders served by a deviation against through-riders. There’s a naturally flawed assumption built into this model– that riders accessing the destination are assumed lost if the deviation is eliminated. The broader assumption behind this is that the pedestrian environment has no impact on a rider’s choice to take transit. These types of deviation formulas would treat auto-oriented and urban contexts equally, assuming ridership generation remains constant. Earlier this week, WSDOT announced that work has finally commenced on mudslide prevention efforts along the BNSF tracks between Seattle and Everett. Last winter’s record-setting mudslide season marred Sounder North Line, forcing the cancellation of 170 trips and obliterating ridership. The slides had also been partly responsible for a flurry of bad publicity that made the news rounds last fall. Over the past year, WSDOT and BNSF have worked to isolate six problem spots along the North Line, two of which are set to be fixed by mid-October. The work includes hillside stabilization, building retaining walls, drainage control, and other measures aimed at preventing the slopes from being oversaturated during periods of sustained rain. $16.1 million in stimulus money is expected to fund the projects. One of the hillsides is near the border of Mukilteo and Everett, Melonas said. The other is at the south end of Mukilteo near the Pacific Queen shipwreck. Four more trouble spots in Everett and Mukilteo are targeted for fixes. These projects are still being designed and won’t be done this winter, but all the work is scheduled to be done by early 2016, said Alice Fiman, a spokeswoman for the state Department of Transportation. Seeing as this is one of those instances where whatever hurts/helps freight rail also hurts/helps passenger rail, the multitude of stakeholders (BNSF, WSDOT, Amtrak, Sound Transit) here may actually be helping spur the urgency of the project. On top of the obvious benefit to North Line service, these improvements may also be some of the most critical in establishing a reliable corridor for future high-speed intercity rail. You’re bound to have some thoughts on the preliminary election results, so we’ve created an open thread for your commenting leisure. The results from the first drop will be posted to King County Elections’ website at 8:15pm tonight, and we’ll update this thread with the results when it happens. Keep in mind, however, that there are many more ballots left to count, so the closest races likely won’t see clear top-two winners for several more days. Other races below the jump. This is short notice, but if your evening is open tonight, head on down to the Central Library for Transportation Choices Coalition’s quarterly Books on the Bus event. Nature enthusiasts will enjoy this quarter’s selection: The Measure of a Mountain by Bruce Barcott– a book which is essentially part-memoir part-account of Barcott’s explorations of Mount Rainier. Barcott himself will be at the event, so even if you didn’t read the book, you’ll have the chance to learn more about it and what Books on the Bus is all about. The event will be held from 7:00 to 8:30pm tonight (8/1) in the Microsoft Auditorium of Seattle Central Library. By now, it’s pretty clear that there are only four legitimate contenders vying to move on to the general election for the mayoral race. While we’re generally familiar with a lot of their broad-brush positions on transit, attitudes on more specific issues, like Metro funding, have remained somewhat of a mystery. Luckily, Thanh Tan at the Seattle Times has compiled a nice table which summarizes how the candidates stack up against each other on addressing the Metro deficit. The answers are all strung together from minute-long responses in a KCTS debate (11:46-20:45), so I’d be hesitant to assess any of the candidates solely on the basis of their responses here. Although most of them are rhetorically supportive of transit anyway, what matters are the positions that set a candidate apart from the standard pro-transit boilerplate answers. Interestingly enough, McGinn and Steinbrueck were probably the most unified in their remarks. Both shared similar attitudes on the necessity of new revenue and the impact of transit cuts. They were also equally vague about the specifics on new revenue, though Steinbrueck seemed much more willing to directly blame the Legislature for Metro’s woes. Murray, unsurprisingly, was quick to deflect blame away from Olympia and seemed much more optimistic about a near-term solution for Metro. Given the hardline stance from Senate Republicans toward transit, I’m sure Murray knows what’s realistic and what’s not, so it wouldn’t surprise me if he were simply using his optimism as a campaign tactic. Bruce Harrell veered away from the Metro shortfall completely and instead spent his time talking about the failed 2011 Prop. 1 measure. The $60 VLF wouldn’t have purchased any service hours for Metro anyway, so I’m unsure what Harrell was hoping to accomplish with his tangent. Nonetheless, any non-mention of Metro’s shortfall could be an ominous indication as to where his priorities would lie as mayor. Last month, Sound Transit broke ground on a long-awaited permanent Sounder station at Tukwila. Currently, the temporary station makes for a pitiful stop for Amtrak riders and the thousand or so commuters who make connections to nearby worksites. The project will construct permanent platforms, rebuild the park-and-ride, and create a new bus loop. Coupled with the impending F Line implementation and lot of surrounding greenfield, an optimist might envision bright TOD prospects in the station area’s future. 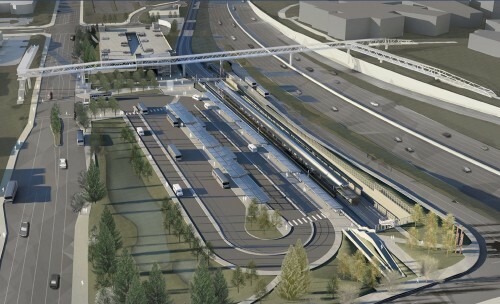 The new facility, with a total budget of $46 million, will include two 600-foot-long platforms, two new passenger shelters, improvements to the underpass connecting the two platforms, and a bus transit area supporting better access to King County Metro Transit services, including the future Rapid Ride F line. 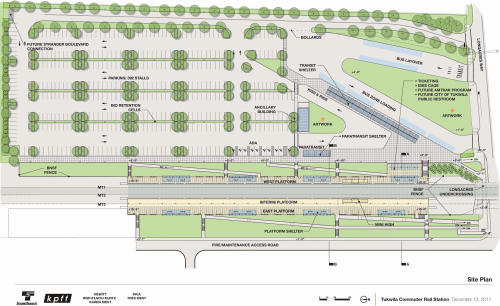 Parking for transit users will nearly double from 208 to 390 stalls, and a plaza, improved walkways and lighting will offer better pedestrian access to the station. The facility will also house four electrical charging stations, and bicycle storage will increase from 27 to 76 spaces. By my reading of the Tukwila Station and RapidRide plans, it sounds like the F Line will be coming off of the SW 27th/Strander Blvd extension, into the station via a new access road, dropping off at the bus loop, and circulating back to Strander via the West Valley Highway. According to some Metro planners I talked to, it’s not really being considered a deviation for the time being since the Renton-funded segment of the 27th/Strander project won’t connect all the way to the West Valley Highway. 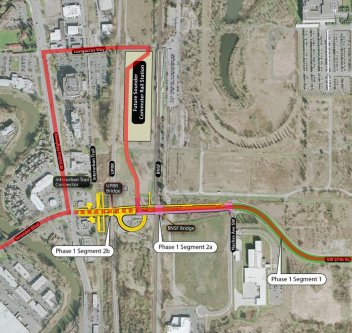 Once Tukwila gathers enough funding to complete its segment of the roadway extension, however, the routing becomes unnecessarily circuitous, at least during non-Sounder hours when there won’t be a train or bus to connect to, nor any nearby destinations to serve. A deviation is more tolerable in the peak when the benefit for connecting riders will outweigh the cost for through-riders. However, I suspect Metro wants to avoid having multiple route patterns for a frequent branded service like RapidRide. One of the things that makes car sharing so advantageous is its ability to be seamlessly part of a car-free individual’s multimodal network. If transit doesn’t run at a certain time or doesn’t serve a certain place, car share can be used to fill those gaps, particularly when walking or biking aren’t feasible. car2go parkspots are a perfect example of this: designated spaces reserved only for car2go vehicles which are located at strategic points across a city, like hospitals, transit stations, etc. car2go Vancouver has this down already– I was pleasantly surprised to discover a few parkspots outside the Olympic Village Canada Line station while waiting for a bus to Granville Island last week. At hours when connecting bus service isn’t available, car2go would be a great alternative. In addition to Olympic Village, car2go also leases spaces in a private lot right outside Broadway-City Hall and provides nearly 60 other parkspots across the Vancouver home area. Seattle, on the other hand, has zero parkspots in its home area. 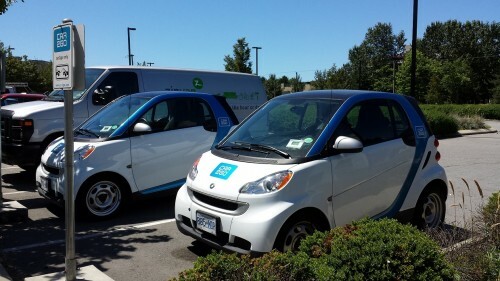 Whether that’s a byproduct of car2go Seattle’s relative newness or some other constraint, I’m not entirely sure. At any rate, implementing parkspots would seem to be the next logical step of investment for the company, especially given the recent expansion of the home area, which now includes Mount Baker and Columbia City stations. [Tom] insists that any new tax for Metro be tied to a state plan, rather than letting pro-transit, pro-tax King County voters go it alone. “If you don’t link them, what happens is, once the transit crowd gets what they consider they want, the road package gets torpedoed, and vice versa,” he said. Setting aside the clear snarkiness in that statement, this is bad policy for bad reasons, plain and simple. The thinly veiled implication here is that the highway lobby needs the support of the “transit crowd,” or else road expansion measures would never pass. It’s nothing more than a form of logrolling, bribery, and political maneuvering. We saw it when Olympia demanded the marriage of roads and transit in the 2007 Prop. 1 measure, and we saw it again with the House transportation bill this time around. What I find interesting is that by Tom’s own admission, separating roads and transit should be good policy. If the “road package gets torpedoed,” that means that people don’t want more roads because they don’t want more roads, not because they don’t want transit. Conversely, we’ve seen people vote for transit-only measures (ST2, Transit Now, etc.) because of the transit, and not because there were roads in the package to entice them. Yesterday, Senate Transportation Committee Chair Curtis King unveiled his own transportation proposal to compete with the bill that’s currently being tossed around in the House. The House bill, HB 1954, would allow King County to raise a 1.5% MVET– 60% for Metro, 40% for roads– but only by voter approval. The gripe of many on this blog is that the provisions for transit are welded to a massively disproportional allocation to new roads, which has put many transit advocates in a quandary. Any silver lining that exists in the House bill is vanquished by the Senate proposal, which contains no state money for transit, pedestrians, or cyclists. And instead of allowing the more sustainable and progressive MVET to fund local transit, Sen. King is proposing to raise the sales tax ceiling from 0.9% to 1.2%. In a perfect world, the 0.3% increase is probably enough to plug Metro’s budget hole of $60 million/year. That perfect world, however, would have to be immune to recessions and have no poor people in it. The reality, of course, is that shifting primarily to sales tax for revenue is partly the reason why we got into this mess in the first place. Social justice advocates should also cringe at the proposal, which effectively increases the tax burden on the poor. As the Senate transportation package is coming from a staunch transit opponent, I see little reason for transit advocates to take this proposal seriously. South Bellevue neighborhood context plan (click to enlarge). The public got a chance to see the long-awaited first renderings of the South Bellevue and East Main Link stations at Sound Transit’s third final design open house last week. With the alignment decision settled, planners are considering a series of design improvements– bicycle/pedestrian access, station architecture, site planning, etc. As with the other East Link stations, station naming will also be a part of this process. Although no one expects South Bellevue to transform into some greenfield TOD hub, there is a lot of room for improvement when it comes to station access. ST is meeting basic expectations by rebuilding sidewalks and preserving the multi-use trail along Bellevue Way. One opportunity far too potent to pass up, however, is greatly expanding the station walkshed by improving neighborhood connections, something that’s been a pet cause of mine for some time now. Late last month, President Obama nominated Charlotte mayor Anthony Foxx to fill the void that will be created by retiring Transportation Secretary Ray LaHood. First, I think it’s appropriate to give credit where it’s due. Although Secretary LaHood wasn’t the perfect progressive pro-transit stalwart, he was still a staunch advocate of transportation choices and likely instrumental in preventing MAP-21 from turning into the transit disaster it could have become. Moving on, however, I think it’s safe to say that few out there would make a better successor than Foxx. During his tenure as mayor of Charlotte, Foxx has been an outspoken proponent of expanding the LYNX light rail system, building a new streetcar line, and focusing development and planning efforts in downtown Charlotte. It’s a track record that closely aligns with STB values. Foxx, who grew up in poverty in Charlotte, recalled riding the bus to get to his first job at a local museum when he was 12 years old. “The Number 6 connected me to the larger world of opportunity, and I truly believe, whether it is a bus route, a road, a train, a plane or a ship, our transportation system at its best connects people to jobs and a better quality of life,” Foxx he told senators. 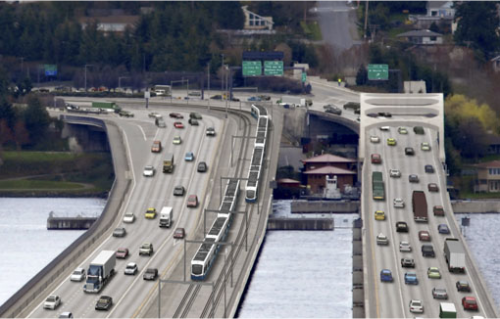 In yesterday’s open thread, commenter and long-time reader Mike Orr pointed out two surveys that Sound Transit is using to solicit input on East Link final design for the downtown Bellevue segment. One survey is a fairly straightforward multiple-choice form for station naming options, while the other wants slightly more comprehensive input on station access, specifically for pedestrians, bicycles, and transit. Responses and comments are due by the end of tomorrow so be sure not to dilly dally. The station-naming form gives a few predetermined choices for the three “downtown” segment stations: East Main, Bellevue TC, and Hospital Station. Respondents also have the option of submitting names of their own, although I’d guess that option is probably abused more often than Sound Transit would like. While I don’t exactly get riled up about station names, I tend to lean toward those that incorporate cross-streets, which help give some reference to the grid. When it comes to pedestrian and bike access, I’m not sure there’s much more that can be done aside from what’s already being considered in the Bellevue’s Downtown Transportation Plan update. Obviously, bike facilities are severely lacking downtown so there’s a lot of progress to be made on that front. The most feasible improvements for pedestrian access, on the other hand, are likely going to be mid-block crossings, through-block connections, more pedestrian-friendly signals, and other stuff that will help break up the grid a bit. Transit-wise, however, the great shame with the NE 6th station is that it negates all the benefits of great bus-rail transfers that the old C11A surface design made possible. Also terrible is the fact that on-street bus stops along NE 6th Street are pretty much infeasible, thanks to the steep grade and the fact that station entrances will be on opposing sides of the block anyway. Although I’ve been rather partial to the idea of decentralizing Bellevue TC bus service in the past, the new station design makes planning bus-rail interface a few degrees more challenging. What’s wrong with TOD at Othello Station? The continuing saga of the Waterfront Streetcar. Kemper Freeman expanding ($) his downtown Bellevue empire. Inslee approves the transportation budget ($) for the 2013-2015 biennium. Meanwhile, HB 1954 supporters rally. Link station planning meetings tonight in Shoreline. 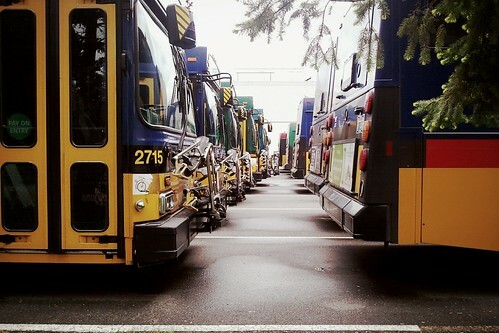 Kitsap Transit wants input on a new six-year plan. Some bus ad controversy flares up again. Metro ticketbooks finally being phased out. Cancellation of Metro-North service after last week’s collision leads to traffic snarls. 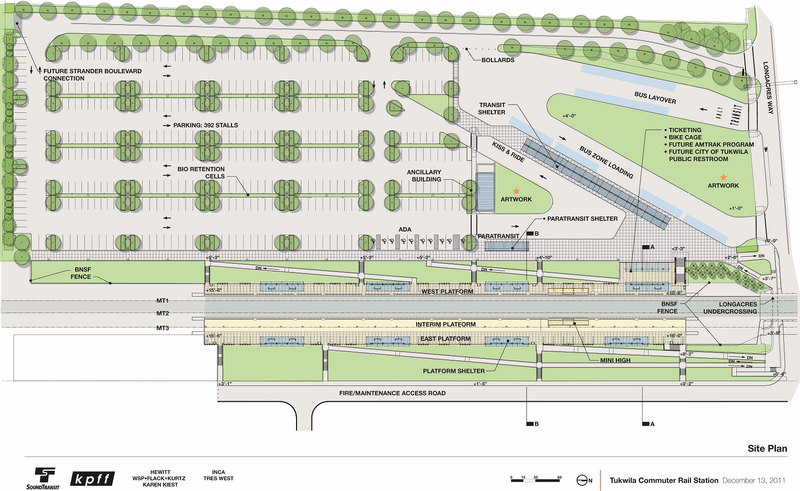 Better bike and ped access for Northgate Station. A great primer on wayfinding from CHK America.